home made bread | La Rosilla - Lifestyle and food. Always so lovely to deliver a meal to a first timer. I love to see their faces when I show them each dish and describe it’s ingredients, all freshly baked and ready to eat, all they need is their wine glass and knife and fork . Today’s delivery for Spanish Mothers day was to a local town of Riogordo and the dishes included. 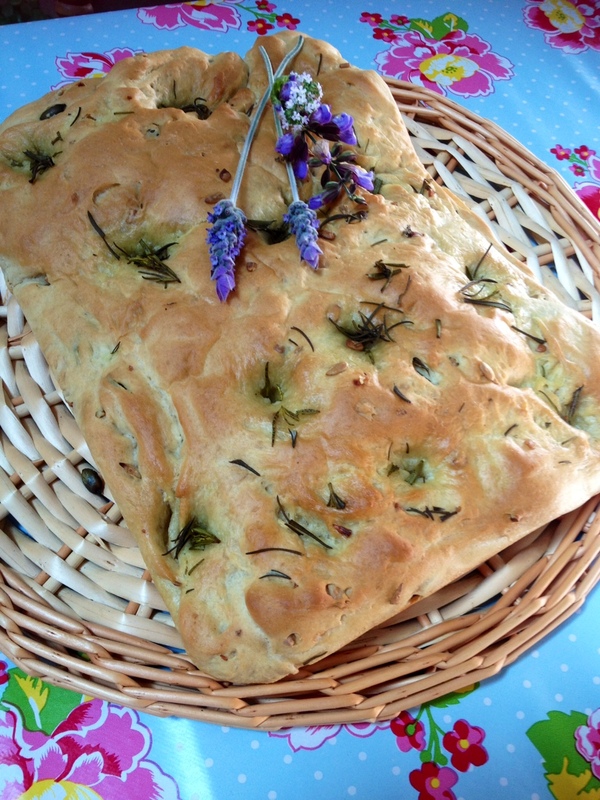 Pumpkin and sunflower seed focacia, with lashings of rosemary infused extra virgin. 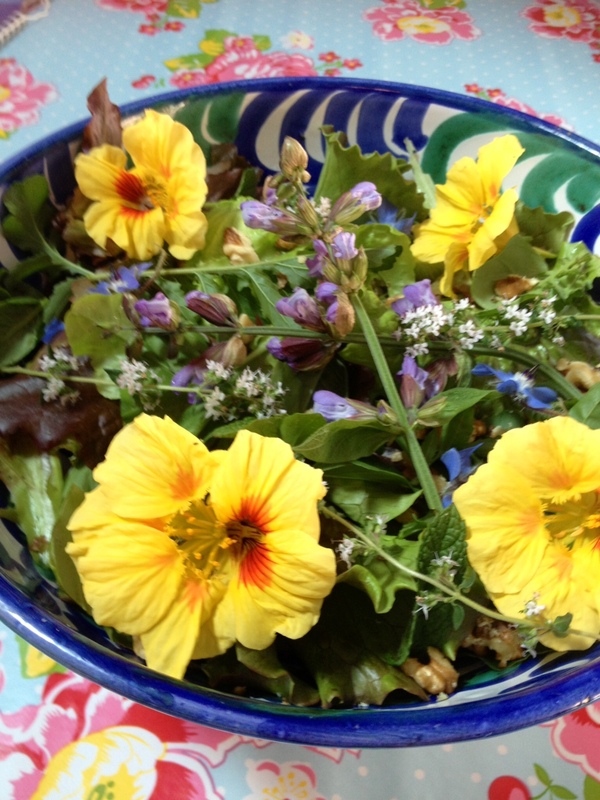 Herb and flower salad, rocket, lollo rosso, pea shoots, nasturtium, borage, thyme and sage flowers, and a sprinkling of walnuts. With an orange flower water and mustard dressing. 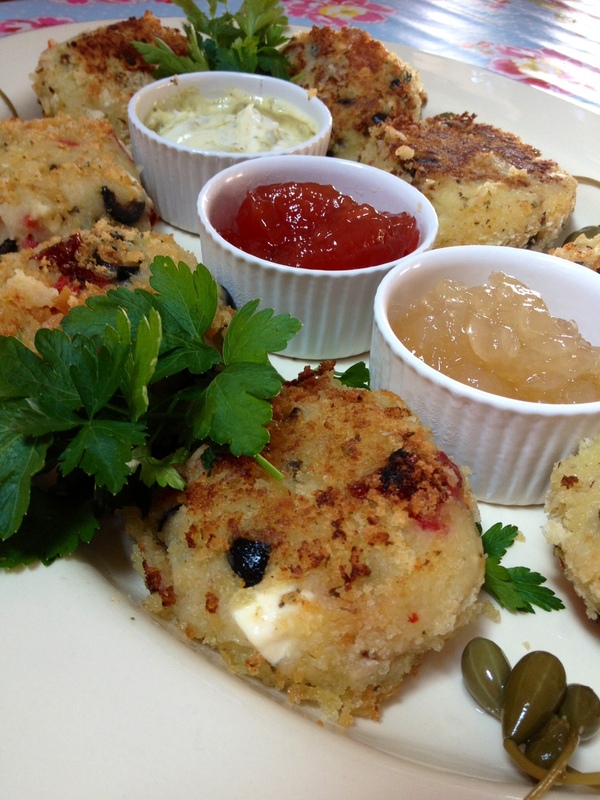 Potato Cakes, stuffed with olives, sundried tomatoes, feta, roasted peppers, coated in migas crumbs and pan fried, served with tomato jam, sweet onion chutney and pesto mayo. 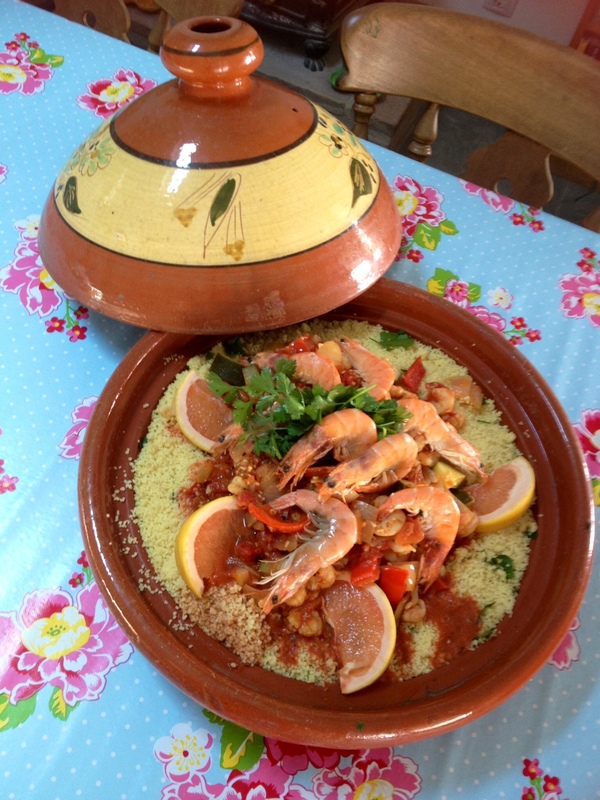 Prawn & Harissa tagine, a rich and spiced dish, with flavours of cumin and cinnamon, in a tomato , courgette and onion broth and served with lemon and herb cous cous. 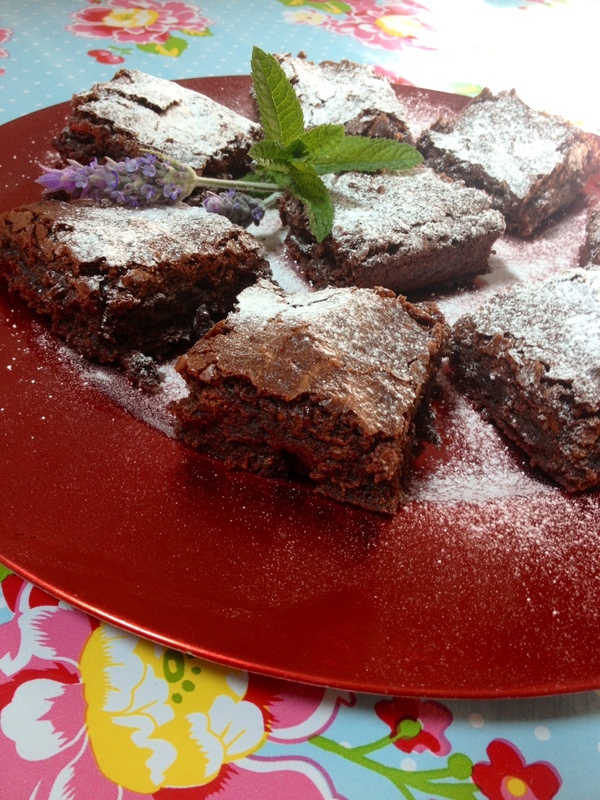 and to finish the ever popular, Chocolate fudge Brownie. And now to relax and soak up some Sunday sunshine, before stoking up the barby, and feasting with my family.